Embellished » Be a square! 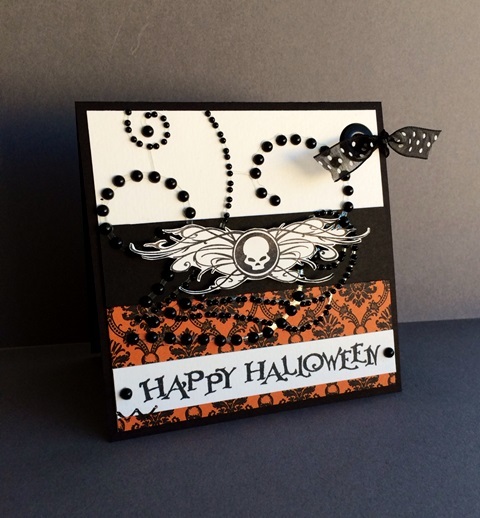 Make sure to run over and see Julie’s beautiful card on her blog! As always, we’d love for you to play along with us! If you DO, please leave a link at one of our blogs, or use the keyword SFR34 over at Splitcoast. Have an amazing rest of your day! Thank you so much for stopping by! Love your card – the black rhinestones really set off on the white and the polka dog ribbon through that eyelet is awesome !! The whole theme of the card works together perfectly !! Fabulous card, Linds ! !